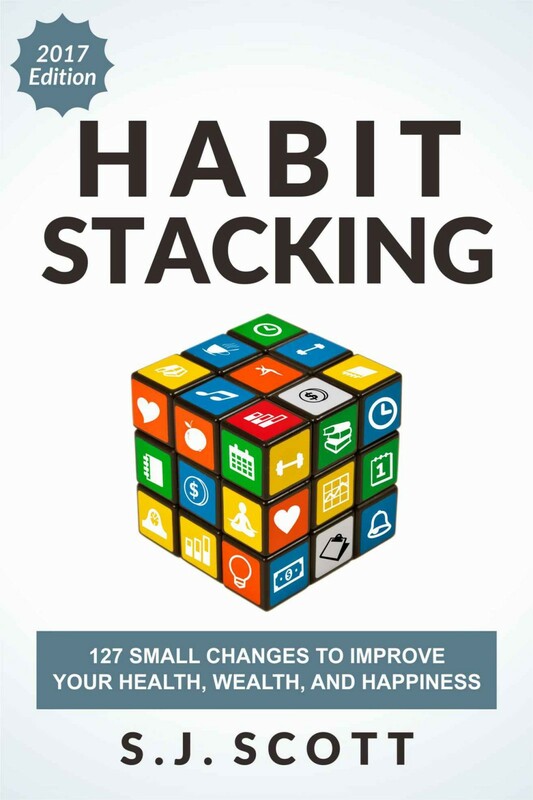 Let’s start this section on the psychology of habit stacking by talking about the two main problems that people have with building habits and how this strategy can become the perfect solution for overcoming them. We’ve all done this. You decide to change your life, so you set a major goal and try to build a specific habit (or habits) to help you achieve this outcome. You’re perfect for a few days until life gets in the way, which leads to skipping a day. The pattern repeats itself. Good for a few days, then miss one or two. Eventually, you quit in frustration because you simply can’t make this new habit stick. Let me be honest here—it’s not easy to build habits. Sure, many experts will tell you that it’s a simple matter of identifying a change and then doing it daily. However, it’s one thing to read about forming habits, but it’s a whole other thing to create a permanent change. We all live hectic lives, so it’s hard to do anything consistently, and it’s even more challenging trying to fit something new into your already hectic schedule. Well, the answer comes down to motivation. Specifically, how much reliance you place on motivation alone in order to get things done. I’m going to come right out and say it: motivation alone does not work. Sure, you can listen to upbeat music or read an inspiring quote to create an energized state. But it’s a temporary feeling. Motivation won’t get you through those times when you’re tired and uninterested in working at an important goal. Simply put, our willpower is like a muscle. It weakens throughout the day because of constant use. Baumeister and his colleagues have tested ego depletion in a variety of scenarios. One was called the radish experiment. Here, they brought three groups of people into a room and offered a selection of food (before working on a puzzle): pieces of chocolate, warm cookies, and radishes. • One group could eat anything they wanted. • Another group could only eat the radishes. • The final group wasn’t given any food options. After that, each group was moved into a separate room, where they had to work on a challenging puzzle. The groups that didn’t previously exert willpower (i.e., they ate whatever they wanted or weren’t given a food option) worked on the puzzle for an average of twenty minutes. The group that had to exert willpower and resist the tasty treats worked on the puzzle for an average of eight minutes. What does the experiment show? It’s simple: most people can resist temptations, but this effort leaves us in a “weakened” condition where it becomes harder to tap into that pool of willpower. People don’t achieve peak results with a task because of motivation. Instead, the number of decisions and completed tasks ultimately determine their level of success with a new task. • You have a finite amount of willpower that becomes depleted as you use it. • You use the same stock of willpower for all manner of tasks. It’s important to recognize that your levels of willpower (and therefore motivation) will decrease as the day goes on. This means that if you’d like to make any significant, lasting change in your life, you need to schedule it as early in your day as possible. In fact, Kelly McGonigal, author of The Willpower Instinct, found that the best time to work on a high-priority activity is first thing in the morning because that’s when we’re at our freshest. And then your ability to work on complex tasks diminishes as the day wears on. This leads to another problem that people have when trying to build habits, which we’ll cover next.